Set up in 1990, ORF seeks to lead and aid policy thinking towards building a strong and prosperous India in a fair and equitable world. It helps discover and inform India’s choices, and carries Indian voices and ideas to forums shaping global debates. 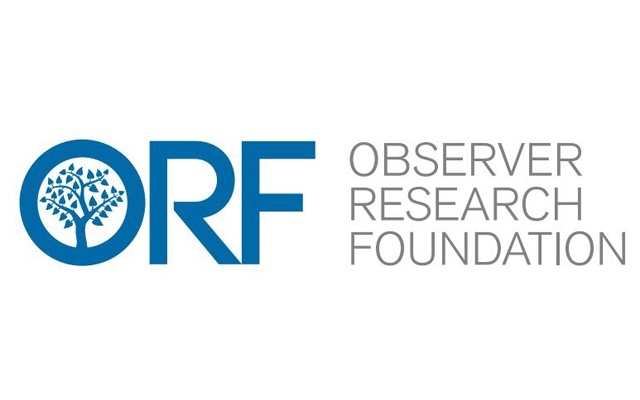 ORF provides non-partisan, independent analyses and inputs on matters of security, strategy, economy, development, energy, resources and global governance to diverse decision-makers (governments, business communities, academia, civil society). ORF’s mandate is to conduct in-depth research, provide inclusive platforms and invest in tomorrow’s thought leaders today.